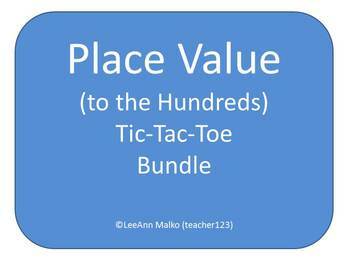 Have your students practice place value (to the hundreds) in a fun way. This file includes 6 tic-tac-toe style games with answer keys. The following topics are included: place value positions, expanded form to standard form, standard form to expanded form, word form to standard form, and standard form to word form.